If you are not a looter take the person that said you are to court and get justice. Reactions are still trailing the list of looters released by the presidency in Nigeria few days ago and this time, a well known lawyer and human rights activist, Femi Falana, has a different opinion. While some persons have said the list was not comprehensive, Mr Falana is worried that wailers are just being hypocritical. The opposition Peoples Democratic Party (PDP) is the most hit in the list, with the presidency claiming that they looted huge amount of money from the nation's treasury. Most persons on the list, including the Chairman of the party, Uche Secondus, have threatened to sue the government and its spokesman, Lai Mohammed. They all denied looting the nation's treasury. 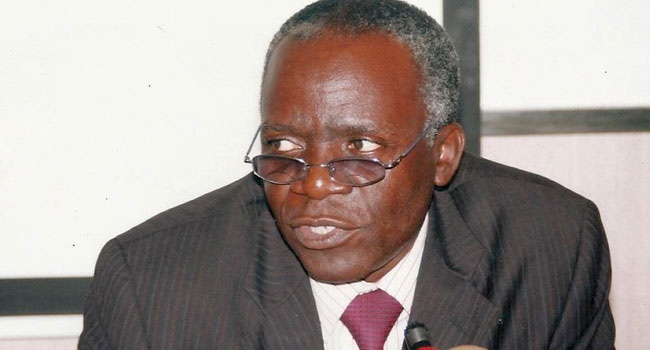 Giving his opinion on the issue, Falana told Bounce News that "in a country where Nigerians who are alleged to have robbed people of less than N10,000 are paraded in press conferences addressed by commissioners of police in all the states of the federation, it is the height of hypocrisy to complain over the publication of the names of a few politically exposed persons who are alleged to have looted billions of Naira". He also gave the looters and wailers an advice. "Anyone who feels offended by the publication of his or her name in the media should sue for libel in a court of law. "Let those who are critical of media trial not complain when fat cats are exposed," Mr Falana added, capping his opinion with an adage. The PDP has insisted that President Muhammadu Buhari was also elected into office with looted funds, demanding that the President should make public his source of campaign funds in 2015.